We all know that exercise is beneficial to our health. Daily exercise has been proven to improve sleep quality, reduce stress, and burn excess weight. In addition to burning the fat that may be contributing to decreasing testosterone levels, many studies have shown a direct link between exercise and increased testosterone levels. Testosterone is a naturally occuring male hormone and plays a crucial role in the regulation of body fat levels and in the maintenance of muscle mass. Testosterone levels decrease naturally over time, but many men worry that their testosterone levels are decreasing faster than normal. Testosterone Replacement Therapy (TRT) is a method many men are using to raise their testosterone levels. Men experiencing substantial drops in natural testosterone levels are the most common candidates for testosterone replacement therapy, but not every man will be a candidate for testosterone replacement therapy. 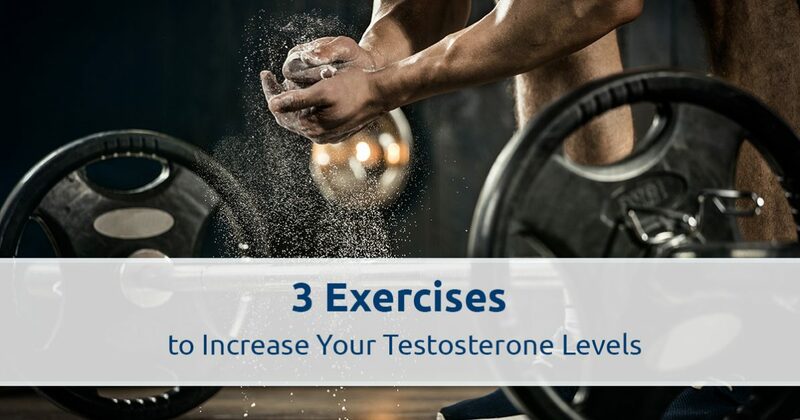 In this piece, we’ll look at three exercises that can help you burn fat and raise your testosterone levels. Make sure to consult your physician or men’s health expert before undertaking a new exercise regimen. Men’s Health Vitality in Tucson is here to help you with any questions you might have. Squats are sometimes called “the king of all exercises,” and for good reason. The squat is a complex movement that utilizes much more than just your quads. When properly performed, squats are a compound exercise that engage the glutes, hamstrings, calves, and core. 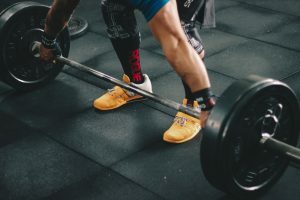 In a recent study comparing two groups, one performing arm-only weight training and the other performing legs-plus-arms training, researchers found that the latter group experienced a significantly greater boost in their post-workout testosterone levels. If you plan on doing squats to increase your testosterone, make sure you’re lifting weight that isn’t too light for you. Studies have consistently suggested that lifting heavy weights is the key to raising testosterone levels when exercising. The main takeaway? Don’t skip leg day. Like the squat, the deadlift engages nearly the entire body. Though deadlifts mainly target the glutes, quadriceps, and hamstrings, they also engage the core and back for a powerful, full-body lift. Deadlifts are a great exercise for men who may not have all morning to spend at the gym, as they can be very demanding on the cardiovascular system when performed in short intervals. The deadlift is known as a “functional lift.” Unlike basic curls, deadlifts can prepare your body for situations that arise in everyday life. Helping a coworker move this weekend? It’s very likely that you’ll be lifting heavy objects off the floor, and you’ll be thankful that you spent some time in the gym improving your grip strength and core stability. Additionally, many studies show a link between deadlifting and increased post-workout testosterone levels. Try incorporating deadlifts into your next workout to burn fat and boost your testosterone levels. You probably remember doing sprints in your high school gym class, and if you’re like most Americans, you probably haven’t done them since. High intensity exercises like sprinting can burn fat and significantly boost your testosterone levels. Sprints are great because they can be performed virtually anywhere! You can do them on a bike, up a hill, in your backyard, or on a basketball court. A few five to ten second sprints at the end of any workout is a great way to keep your body burning fat efficiently throughout the day. Don’t hesitate to contact Men’s Vitality Center in Tucson today if you’re concerned about your testosterone levels. Our individualized low-T treatment programs can include changes to your diet and exercise regimen. Call today for an appointment!